Installation record in more than 6,000 client companies! intra-mart is a package made in Japan which has been installed by more than 6,000 client companies all over the world. It is a web-application development platform with solid installation history as a common platform for systems with its strength being its work-flow and the system integration. Various operation-templates can be developed originally by using instar-mart as a common platform. In addition to ERP system integration, seamless integration with exiting external systems will lead to uniform and efficient management of systems and operations. Development can be done by using a general-purpose technology without requiring special development skills. compatible with functions needed for daily operations such as withdraw, re-application, return. 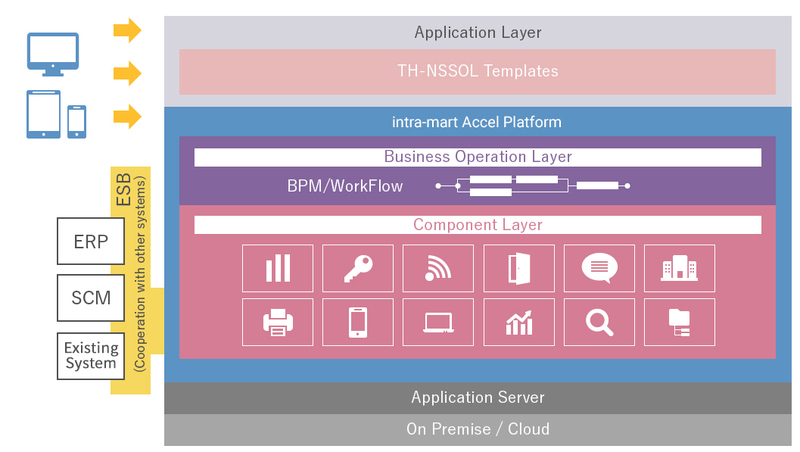 Flow can be designed by customers by using an organization-layer master and a work flow design. Wide variety of templates are provided such as templates for expenses disbursement, budget management, payment management, purchase management and fixed-assets management. 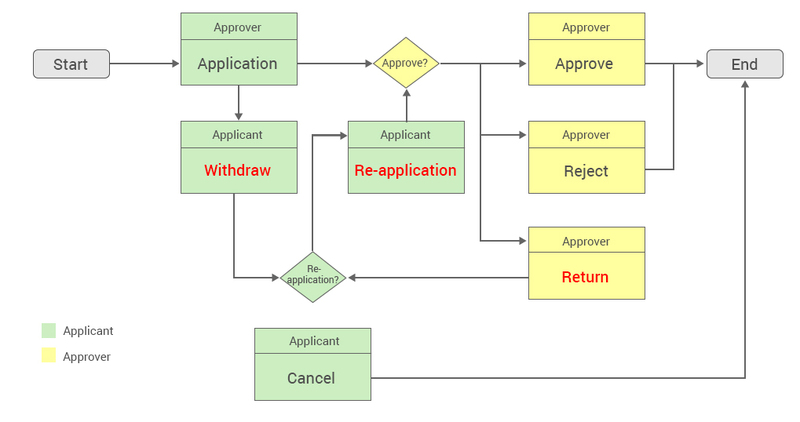 In addition to purchase control, intra-mart is often used for other functions such as management of confidential information, enabling to manage approval-record and approval-authority. In order to proceed to the next node, approvals by both the account manager and the department manager are needed. Select an approval route based on pre-defined conditions According to the sample, if the amount exceeds 30,000 Baht an additional signature by a director is needed. If not, the approval is complete. 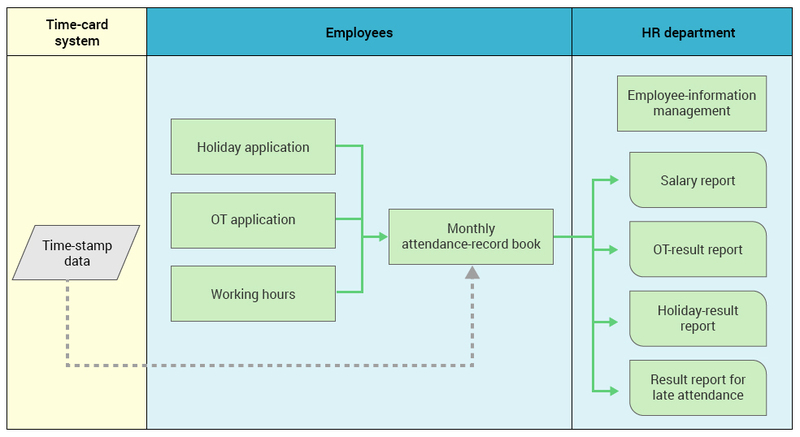 from the time-card system and be used for attendance management on intra-mart. 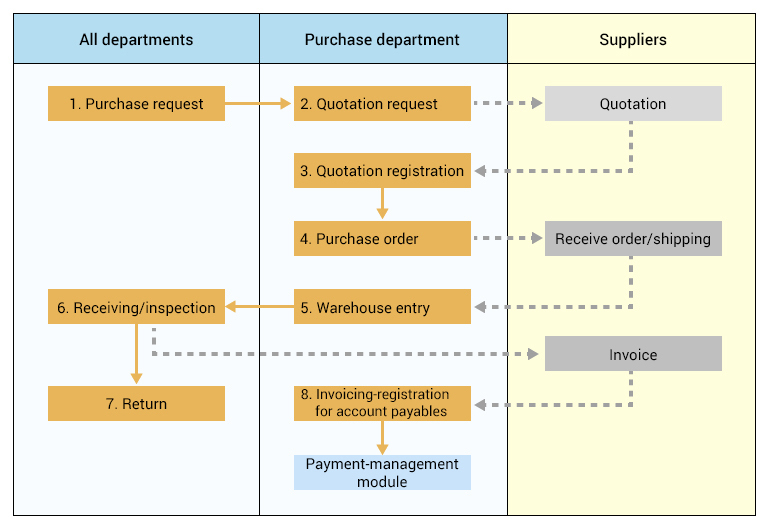 order placements and invoicing in a uniform manner.